Multiple myeloma, one of the fastest-moving therapy areas, has just added another new treatment following FDA approval of Bristol-Myers Squibb’s (BMS) and AbbVie’s Empliciti (elotuzumab). 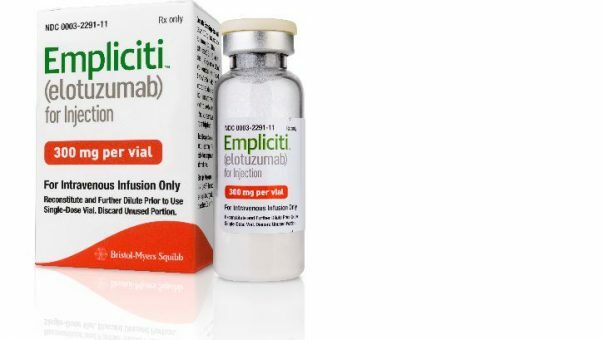 Empliciti is the first in a new class of treatments for the disease, and works by directly activating the immune system in patients. Analysts predict sales of around $1.2 billion by 2020, but it will face competition from other new treatments. The drug has been approved by the US FDA for the treatment of multiple myeloma as combination therapy with Revlimid (lenalidomide) and dexamethasone (ERd) in patients who have received one to three prior therapies, and has shown itself superior to the combination of these two older treatments. The median progression-free survival (PFS) in the ERd group was 19.4 months versus 14.9 months in the Rd group. At the time of the interim analysis, there were fewer deaths in the ERd versus Rd study arm (94 [29%] versus 116 [36%], respectively). Empliciti has a dual mechanism-of-action – it directly activates the immune system through Natural Killer cells via the SLAMF7 pathway; it also targets SLAMF7 on myeloma cells, tagging these malignant cells for Natural Killer cell-mediated destruction via antibody-dependent cellular toxicity. Its approval for use as a second-line treatment gives it an advantage over Janssen’s rival treatment Darazalex (daratumumab), which was approved in November. 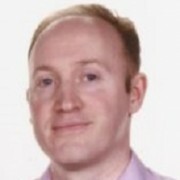 Darazalex can currently only be used as a third-line treatment in ‘double refractory’ patients, and its pivotal trials have been focused on patients who have failed five treatments. However Darazalex has shown strong results in these patients, and Janssen is already undertaking studies in patients at earlier stages of the disease. Darazalex also stole Empliciti’s thunder by becoming the first monoclonal antibody treatment for the condition, but BMS and AbbVie’s drug can claim to be the first immunostimulatory antibody in the therapy area. This approach ties in with BMS’ lead in immunotherapy in solid tumour cancers, where its checkpoint inhibitor Opdivo is proving a success in multiple indications. 2015 has seen a flurry of new entrants to the market – Takeda’s Ninlaro (ixazomib) and Janssen’s Darazalex both gained US approval in November, with Novartis’ HDAC inhibitor Farydak (panobinostat) approved in February. Analysts say the new entrants still have much to prove in term of long-term data and overall survival. Multiple myeloma remains largely incurable, with only half of patients surviving five years after diagnosis. New treatment options that extend the time without disease progression, and with the minimum of side effects, will generate major revenues. Oncologists will also have to decide which combinations of drugs work best in which patient groups – with the possibility of some receiving three or four drug combinations. Finally the cost of the new agents and these combinations will play a factor, with payers increasingly scrutinising the price of treatment along with gains provided to patients.